Definitely a cool choice if you want to combine trendiness with optimising space. This bed has striking black legs and ladder to make it stand out from the crowd. Mainly constructed from solid pine with some parts in MDF. 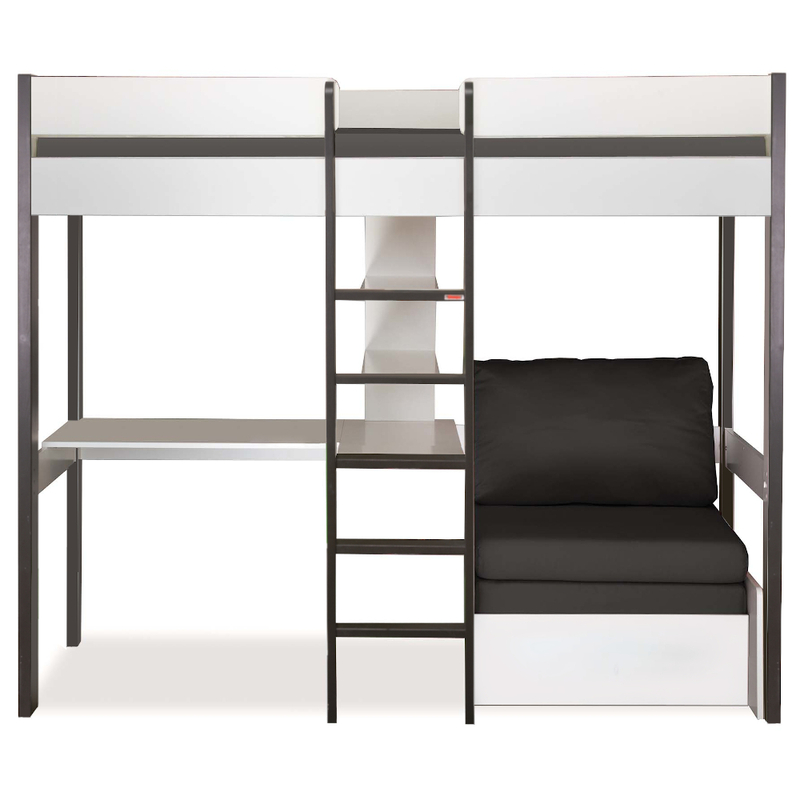 Includes Nero Highsleeper with integrated desk and shelving and black Chair Bed. Features Highsleeper bed with integrated L-shaped desk and shelving system. White lacquered finish with nero legs and ladder.